BGC Masters Day 8: Neil Robertson defeated Shaun Murphy by 10-6 in the final to claim his first Masters title at Ally Pally. 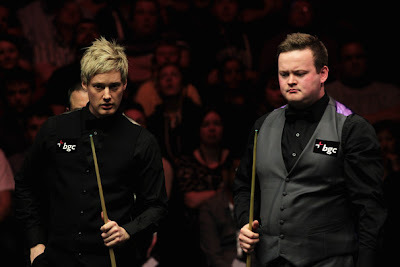 Both finalists each have won World Championship once whilst Shaun Murphy was a UK Champion as well. He aimed for winning the Masters title to accomplish the goal of being the first player born in 1980s to win the three major tournaments (World, UK and Masters). However, his opponent Neil Robertson from Australia holds a proud record of being undefeated in the finals that he has reached. Neither of them has reached the final of Masters before, we will have a new winner again this year. Robertson took the scrappy first frame of the first session before Murphy took the lead with breaks of 102 and 65. 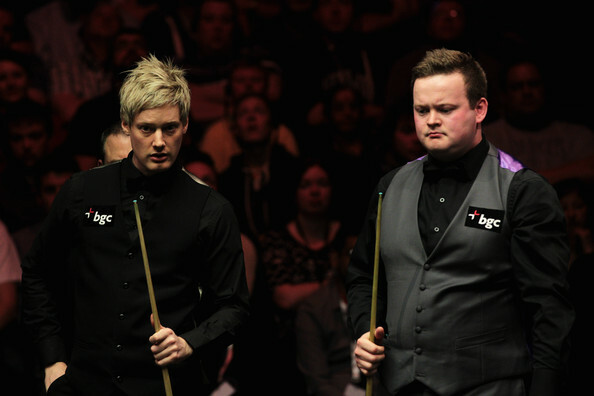 Robertson responded with a 103 to draw level 2-2 at the mid interval. The following two frames were shared but The Aussie dominated the last two frames to end the session with 72 and 60. Robertson led Murphy by 5-3 before the match resumes. The Magician grabbed the opening frame at the night session but Thunder From Down Under retained two-cushion advantage with 101 in frame 10. 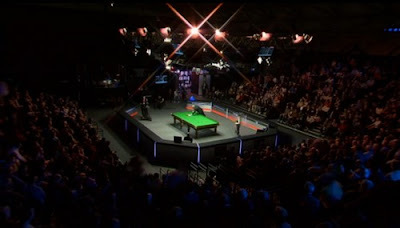 Close frames were not favourable for Murphy, Robertson took the important frame 11 as well as the coming frame 12 with 72 to walk away from Murphy. Robertson was leading by 8-4, only two frames away from winning the Masters title. Murphy was not in form at the session which left Robertson a decent chance to reach the match point, 9-4 with 76. 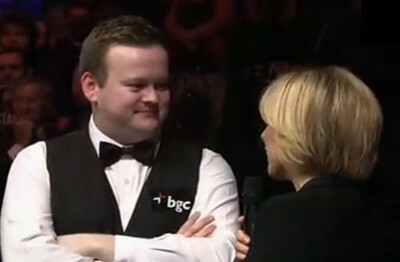 The Magician had the pressure off his shoulder and it brought out his solid snooker. 52 and 86 helped him to reduce the gap to three frames and looked like he was going to turn over the match. Unfortunately he left a red over the pocket in the next frame Robertson did not let it slip, making a 70 to end Murphy's comeback. 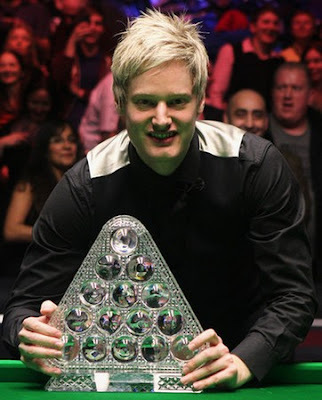 Neil Robertson is the first Australian to win Masters.